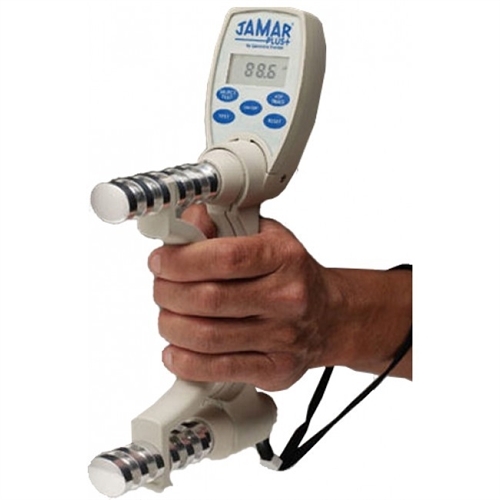 The Jamar Digital Hand Dynamometer offers accurate and repeatable grip strength readings for routine screening of grip strength and initial and ongoing evaluation of clients with hand trauma and dysfunction. 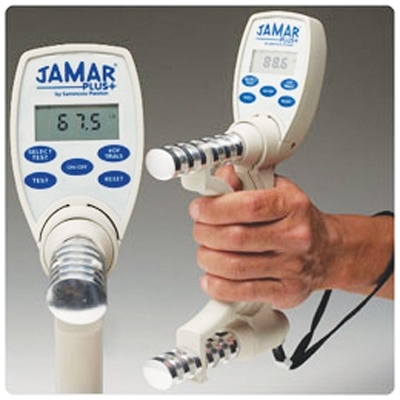 It has an easy-to-read LCD display. It also has a push-button console that includes a button to zero last reading stored. Registers in pounds and kilograms.